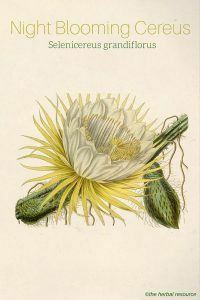 Botanical Name: Selenicereus grandiflorus, Cactus grandiflorus. Other Common Names: Queen of the night, sweet-scented cactus, large-flowered cactus, vanilla cactus, large blooming cereus, large-flowered torch thistle, lunar flower, organillo. Habitat: Night blooming cereus is native to the desert and semi-desert regions of the Antilles, tropical America, Mexico, and the southern United States. Plant Description: Night blooming cereus is a climbing cactus with vining, cylindrical stems. Selenicereus grandiflorus is usually a “functional epiphyte”; meaning the plant can thrive either as an epiphyte or a terrestrial plant. An epiphyte is a plant that grows on another plant for mechanical structure but not for nutrients. The stems send out adventitious (refers to structures that develop in an unusual place) roots to clasp their support plants. The prefix “Seleni” in the botanical name refers to the moon, in allusion to the nocturnal blooms, which are very large and full-bodied. The stems are green to bluish-green, becoming purplish along the ribs and having small radiating spines. The very large, 8-12 inch flowers are terminal and lateral from the spine clusters. 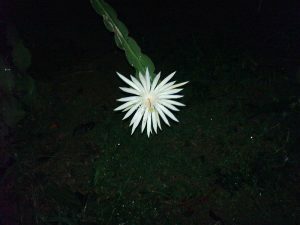 The flowers bloom for only about six hours, opening in the evening and having a sweet-smelling vanilla-like fragrance. The outer petals of the flower are brown, orange or lemon yellow; the inner petals are white, oblanceolate, with an acute apex. The areoles of the ovary and flower tube bear long hair like spines. In the wild, the cactus is pollinated by bats and large moths. The fruits look something like a gooseberry, with a pink to orange-red to a whitish color, ovoid, with numerous hair-like spines. Plant Parts Used: The young succulent stems and flowers. 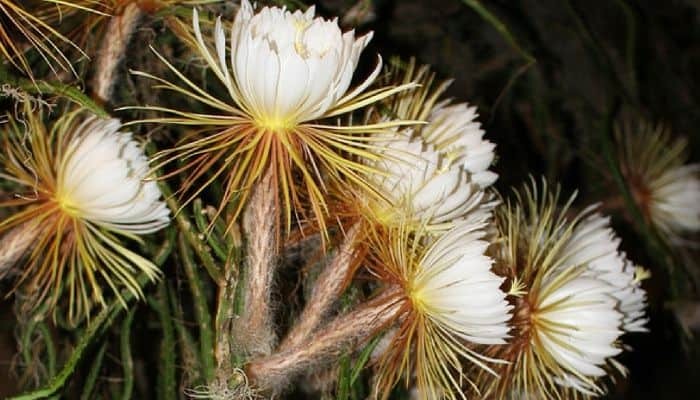 The indigenous peoples of America have used the night blooming cereus as a topical remedy for rheumatism and itchy rashes, as well as an internal herbal remedy for worms, cystitis and fever. The Native American tribe Death Valley Shoshone called this plant “pain in the heart”, and used it to treat angina-like pains. Several other tribes of Native Americans use the stem to treat diabetes. In the 15th century, Christopher Columbus brought this curative plant to Europe. In 1586, the French physician and botanist Jacques Daléchamps described it in his Historia Generalis Plantarum. In the 19th century, the Italian physician and medical director of the homeopathic hospital Santa Maria della Cesarea near Naples discovered that a tincture of the night blooming cereus had an antispasmodic effect on the coronary arteries and improved blood supply to the heart. He published his research in the British Journal of Homeopathy. Night blooming cereus has a history of use in traditional herbal medicine as a treatment for hemoptysis (coughing up blood from the lungs) and edema (swelling of soft tissues due to the accumulation of excess water). Selenicereus grandiflorus is perhaps best known for its use as an herbal treatment for heart conditions and it is highly valued by traditional herbalists as a natural treatment for heart palpitations, angina, weak or irregular pulse, and for relieving shortness of breath. Additionally it is believed to be a useful natural treatment to help normalize heart rhythm and strengthens contractile force. Night blooming cereus is also used by traditional herbalists as a natural treatment to tone the heart muscle, reduce blood fat and cholesterol, and increase circulation. 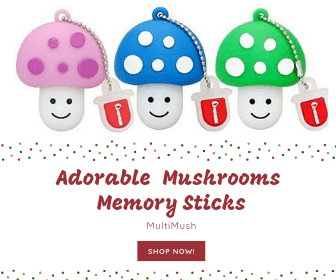 It is considered to be helpful as a diuretic, a stimulating cardiac tonic, a cardiac trophorestorative (a nutritive restorative for the body, usually with a strong affinity for an organ or organ system), and as a stimulant and tonic for the spinal and motor nerves. It is thought that this herb could be useful to stabilize heart palpitations and valve inefficiency associated with arrhythmias, as well as dyspnea (shortness of breath) following a bout with pneumonia or other viral infection. Night blooming cereus has been used as a homeopathic treatment for digestive ailments with flatulence and cramp-like pains, as well as an herbal remedy for pain associated with menstrual cramps. Night blooming cereus is a traditional herbal treatment for nervous disorders of all types, sea and motion sickness, low body temperature, cold sweats, and edema. 1:1 fresh liquid extract: 1-15 drops 1-3 times per day in a little water is often recommended by many herbalists. This herb should only be used under the guidance of trained healthcare practitioners. Night blooming cereus can potentiate cardiac drugs like Digitoxin, Digoxin and other plants containing cardiac glycosides. A physician should closely monitor individuals who consume formulas containing night blooming cereus while taking cardiac glycosides or any conventional medicine for heart conditions. An overdose of this herb may cause gastric irritation, a rapid and erratic heartbeat, cardio spasm or a feeling of constriction in the chest. It may cause slight delirium, hallucinations, and general mental confusion. Night blooming cereus is contraindicated in pregnancy. This is fascinating! For a decade I have had this plant growing in a pot attached to one wall of my bathroom shower, in northern New Mexico (high desert — 6400′ above sea level). It started to bloom this time of the year (April) few years ago, and i became more interested in its name. I never imagined that it had such a history of medicinal uses. A friend sent a picture to her friend, Nat Bletter, an ethnobotanist, in Hawaii, and he directed me to your website. I am newly informed and most grateful. South New Mexico – but I was looking for extract for my dog. Excellent page! Thanks for the info! I needed something that increased volume but also stimulated and digoxin does but slows the heartbeat. Pleurisy root is the slower with increased volume and this cactus is the stimulant. I will learn to make this one too, but in a hurry for Kola right now. I do know it works! Other dog heart products without it aren’t the same.